For years I’ve followed reports about the environmental downside of open-water salmon farms, which is to say virtually all salmon farms. 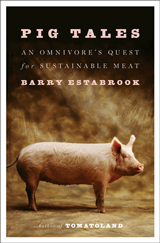 My conclusion is that it is one of the most environmentally destructive ways we produce food. A salmon farm is nothing more than a vast, floating feedlot, except feedlots, at least nominally, have to dispose of food waste, dead animals, and excrement in suitable containment areas. Salmon feedlots flush it all into the sea. I’ve visited salmon farms, read scientific articles, and interviewed the multi-billion-dollar industry’s advocates and detractors, but never have I encountered anything as graphic as the film Farmed Salmon Exposed by Canadian filmmaker Damien Gillis, which has just been made available online as part of the Pure Salmon Campaign’s Global Week of Action. Be warned, there are some extremely disturbing images in the film, and farmed salmon will never taste quite the same after you see its environmental and human costs. To see Farmed Salmon Exposed click here. 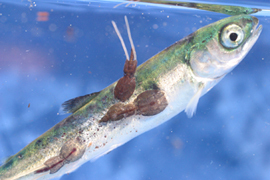 Some examples: Sea lice are a common problem associated with salmon farms because lice from the penned salmon infest and can kill juvenile wild salmon. While I understood this as an abstract assertion, I’d never seen an afflicted fish with bloody, open sores and covered with so many lice that only small patches of its scales were visible. Similarly, I knew that areas where salmon had been farmed in Chile had to be abandoned due to an outbreak of infectious salmon anemia, the “cure” for which is to kill all farmed salmon in affected areas. But I’d never seen the social devastation left in the communities abandoned by the industry. Industry representatives said that the movie was one-sided at a pre-screening at the Seafood Choices Alliance’s summit earlier this month. They were right. Farmed Salmon Exposed is one-sided. It’s the side of the industry the multi-national corporations don’t want us to see. To see Farmed Salmon Exposed click here. Painting the whole salmon farming industry with one off colored brush isn’t right – there are a lot of good folks doing great work in the industry – why damn them all?! The need for safe fish farming is very real. This is a scientific issue, not an emotional one and clouding the issue by affecting emotions of consumers who don’t understand the science can only hurt – not help progress. Bad form! “Aquaculture is not going to feed the World”- Dr. Daniel Pauly at the Seafood Summit in Paris. Like Global Warming deniers, the proponents of “Aquaculture will save us all, save the World” need to pull their heads out of the sand. There simply is not enough feed for for their carnivorous dreams. Good work here Barry, I finally found you, and miss Old Lady Gourmet, like everybody. Better to try alternatives like Arctic Char and wild Alaskan salmon in my opinion. After seeing the documentary, “Food, Inc.”, and learning that some fish farms are feeding corn to trout as a shortcut to growth and fattening, changing the genetics, from what I gather, I prefer to stay away from all “farmed” fish and seafood. I once tried farmed mussels, when I still thought “farmed” meant “better”, only to find really mealy, tasteless mussels. I also once thought corn-fed cattle had to be better until I discovered that cattle fed on corn were much more likely to yield meat with e-coli bacteria, than grass fed animals. And, unbelievably, that all cattle people had to do to get rid of this bacteria, was to allow cattle to be outside eating grass for 6 days, in order to alleviate the problem, I was convinced that the small amount of meat I do consume these days will definitely be grass fed. Obviously our attempts to make nature corporate are failing. (Soy yuppies will be happy to know that Monsanto owns 90% of soy growing. Monsanto is really smart enough not to advertise: “Soy by Monsanto”) Soon, we will see signs and ads that say “Salmon by Dupont”. Talk about the blind leading the blind. Panning farmed salmon is ignorant and self-serving. Just like the comment about them needing more fish than they produce. Farmed fish actually convert feed to flesh at a much higher rate than other farmed animals. You know, all you selfish yuppies don’t have to eat fish at all, you have a choice. The fact that most Americans have to stuff salmon down their throat because it is somehow good for their obesity is laughable. They probably believe that their pork chops don’t contain any antibiotics or pesticides and that their overweight, fat bellies aren’t already replete with contaminants. There is hunger in the World, maybe you should think about that before throwing a paddy about farmed salmon. Martin. The net gain from farming is negative. It’s untenable. That’s the point. Feedlots are not sustainable and the food they produce is only affordable currently because it is heavily subsidized: I.e., the externalities surrounding their practices are not paid for by the fishlots as they should be but by the tax-payer, or taken on as environmental debt. If the industrial fish-farmers actually rolled the price tag of this impact into the fish, no one could afford it. The selfish “yuppies” of the world, as you characterize those that care about this: fisherman, coastal communities who are watching the ruining of their ecologies and local economies. You are right, they don’t have to eat this stuff. The folks that do eat this stuff don’t pay the real cost of production since it is subsidized, and most don’t even know. 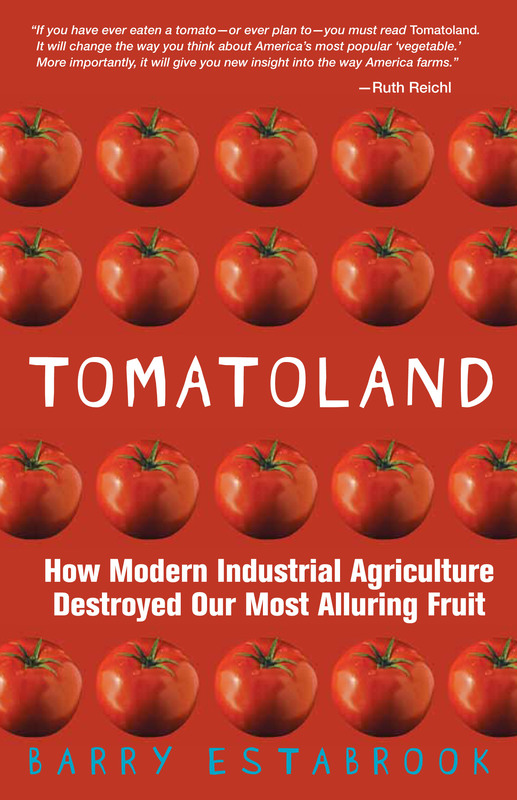 Industrial agriculture is failing us. Industrial fish farming is no different. Pathetic. « Why Does Conde Nast Want Me to Stop Posting My Own Articles on My Own Blog?